Story Thyme - Integral Steps, an integrative education non-profit supporting the balanced development of individuals, families and communities, through music, movement, psychotherapy, ecology and creative arts! Colorado and Portland based! Join Emma Shubin and special community guests for Story Thyme at Moxie Bread Co! 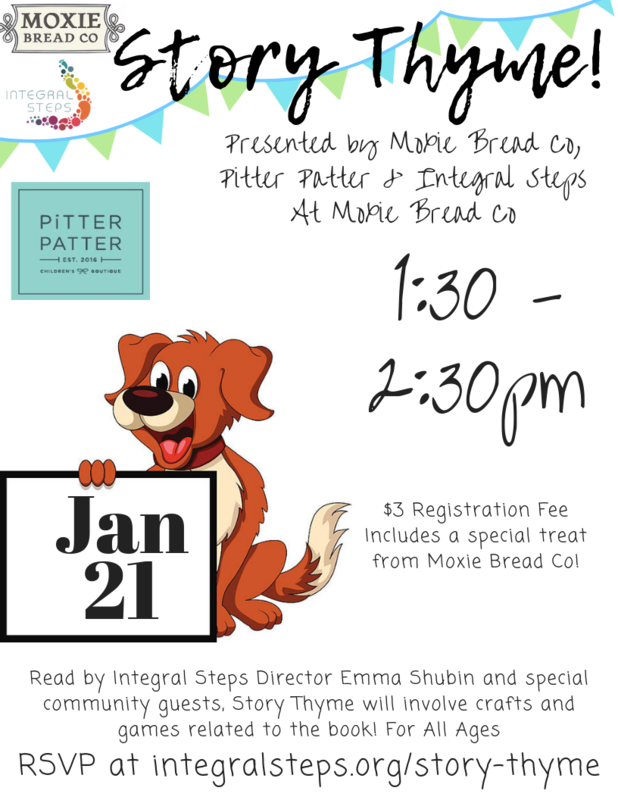 Hosted by Integral Steps, Moxie Bread Co and Pitter Patter, Story Thyme combines crafts and games with reading, making learning fun! Join us one day a month for a new story and exciting afternoon with your friends.